Experience the magic of turtle nesting season at Mon Repos near Bundaberg and a 4×4 adventure through Deepwater National Park departing Agnes Water in an air-conditioned bus with fun, knowledgeable guides. 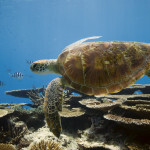 Explore pristine National Parks, Secluded Beaches and spot native wildlife during your adventure to Mon Repos Conservation Park and Turtle Hatchery, home to the largest concentration of nesting marine turtles on the Mainland of Eastern Australia and is home to the largest Loggerhead turtle rookery in the Southern Hemisphere. You will travel in air-conditioned comfort along sandy tracks through Deepwater National Park, which is not accessible by car. Along the journey, look out for kangaroos, wallabies, native birds including the shy coastal emus, goannas and more! 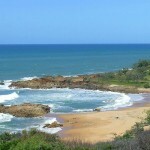 2pm from Agnes Water. Free pick-ups available from outside the Discover 1770 Shop next to the Caltex petrol station on Round Hill Road Agnes Water and most accommodations. 11pm – 1am. The return time varies due to the time that the turtles are nesting and/or hatching. Unfortunately, being wild marine animals, the turtles may arrive late (or not at all) on the beach at Mon Repos. Please advise if you have small children requiring car restraints. 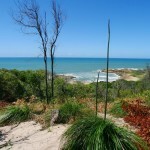 Free courtesy transfers to starting point in Agnes Water. Mon Repos Conservation area entry fees. Sensible shoes for walking on a sandy beach, raincoat and umbrella, water, insect repellent. Please note alcohol and smoking is not allowed. Nesting turtles are best viewed after dark, from November to January. Turtle hatchlings are best viewed from January to March, after dark.